Whether its going to be below zero or sunny with spring snow – its important to dress properly for skiing. Systems and layers are the key. For kids, having spares of anything that might get wet can be a lifesavers, so are disposable hand warmers for those whose fingers get frigid fast. 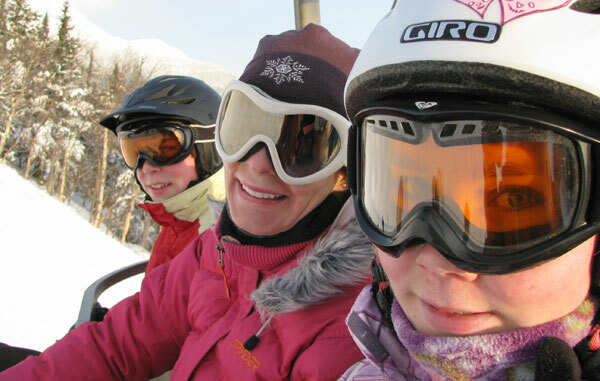 Skiing with the family – you need a mountain of gear, the right skis for everyone and so much more. You need systems for your ski packing, so you don’t forget someone’s ski pants, ski pass or goggles, or spend the morning in the ski shop instead of on the fresh snow. Ski clothing and comfort starts from the inside out. Nothing keeps out the chill and wicks away the unwanted (read: sweat) like base layers with lycra or micor fiber – Hot Chillys base layers are great! If the forecast is super frigid, below 10, add a fleece or wool sweater. SmartWool Ski Sox, the U.S. Ski Team’s official sock – fit well, keep you warm, dry, and on the balls of your feet. SmartWool Ski Sox come in lots of colors and sizes for kids, adults, skiers and snowboarders. For outer layers, bright colors are best for ski jackets and pants (we don’t recommend white once its rubbed up against the car or been spilled with hot cocoa). Fun festive colors pop in photos like skittles on snow. Also, bold colors stand out and hopefully help others skiers see you and steer clear, or help you find your family memebers. Goggles are so important, we love Smith – the big lenses provide super peripheral and great definition in the snow from flat light to full sun, and they look “cool.” Make sure your goggles fit well with your helmet, no big gaps. Also bring a thin hat to wear under your helmet or to cover your helmet head hair après ski. Turtle Fur neck warmer add a lot of warmth and protection to your face and neck – a security blanket for your ski against frostbite and winter’s dry flaky skin. Turtle Fur is made in Vermont for four decades- they make Balaclavas for full face protection too. If your hands get cold, be sure to have warm leather mittens, when gloves and seperated fingers just won’t do. HotHands disposable hand warmers are worth the buck a day habit. Buy them by the case – we have blasted through boxes of brands- these Hot Hands brand last longest and best. 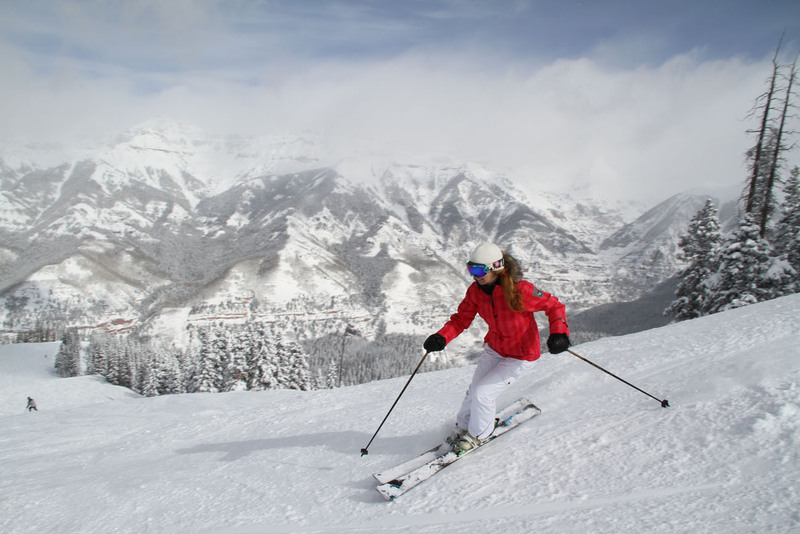 For Spring Skiing: sunscreen, sunglasses, removable layers, and light weight ski gloves. Skis. Boots. Poles. We highly recommend $19 Serius Ski Boot Dryer Sticks to dry your boots every night, and they’re toasty warm in the morning. Pocket contents: chapstick with SPF, Kleenex, snack- candy or granola bar, ID (even for kids) and $$/credit card, and cell phone – in an inside pocked (batteries don’t like cold).